Following accurate accounting practices is critical for any business to be successful. You need to be stalwart and disciplined, not to mention skilled. You don’t have to do the accounting per se, but that doesn’t mean you’ll just leave everything to the hands of your accountant and bookkeeper. You should be on top of every detail especially if it concerns taxes and expenses. We’ve listed some important tips and reminders that you can use to help and guide you in handling accounting systems in your business. 1. Track records of your earnings and expenses. Don’t take anything for granted. A few unrecorded thousands spent here and there, when summed up might shock you. Make sure all your incomes and expenditures are listed not only because it’s required but because you want everything to be organized. Take note of major expenses that you haven’t gained back so you can cut down on future expenses when necessary. 2. Safeguard important documents like receipts and records. Never mix your personal paperwork with your transaction slips and receipts. Keeping paperwork intact makes a lot of things easier for you to do so make sure you have a drawer or a small file cabinet where you keep all these. 3. Schedule regular tallying to know your standing. Are you in way too deep on expenses or are you spending too little on things you should spend on? Making a list not only gives you a record but it makes it easier to compare. 4. Pick great accounting solutions software. With so many options out in the market, it can be hard to pick because of the things you need to consider like budget, ease of use, and compatibility with your business. 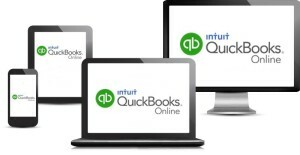 Three of the best accounting software options available in the Philippines that you can choose from are MYOB, Quickbooks Online and Sage 50. Despite the fact that spreadsheet is easy to use, accounting software is still the better alternative because it has way too many features that are too important to disregard. Typically they contain controls and settings where you can create invoice, calculate taxes and track payments, much to your accountant’s pleasure. It saves both time and money because it is multi-functional. A lot of these software also let you run a free trial so it’s advisable that you take advantage of these offers so you can navigate and see for yourself. 5. List petty cash transactions. It’s easy to just shrug your shoulders on petty cash spending because it is petty cash. But don’t get into the habit of ignoring small expenses because these could come to haunt you in the future. 6. Make your invoicing unique. You don’t necessarily have to be traditional as long as you know things are in order. You can start with 10 or 20 if that’s what suits you. Just make sure everyone who handles invoice is informed. 7. Check with your bank from time to time. It’s not bad to be credulous but if you’re too trusting, you suddenly become vulnerable to fraud and deceit so it’s always best to monitor and double check. Compare your bookkeeping records with what’s at the bank and if you find out that the records don’t match, then you know something’s up. 8. 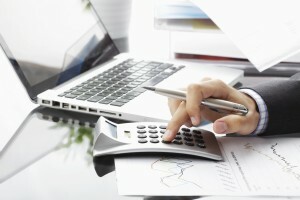 Hire a competent bookkeeper. Your bookkeeper will do crucial work so it’s best to invest in someone who really knows what he’s doing. Send us your comments or suggestions if you found this article helpful.